Set of 6 Genuine Epson Ink Cartridges for Discproducer DVD/CD Publisher. Set includes 1 each: cyan, light cyan, magenta, light magenta, yellow, and black. Genuine Epson inkjet cartridge set for use with the Epson Discproducer series DVD/CD publisher. Ideal for printing professional looking CDs or DVDs with your Epson publisher. 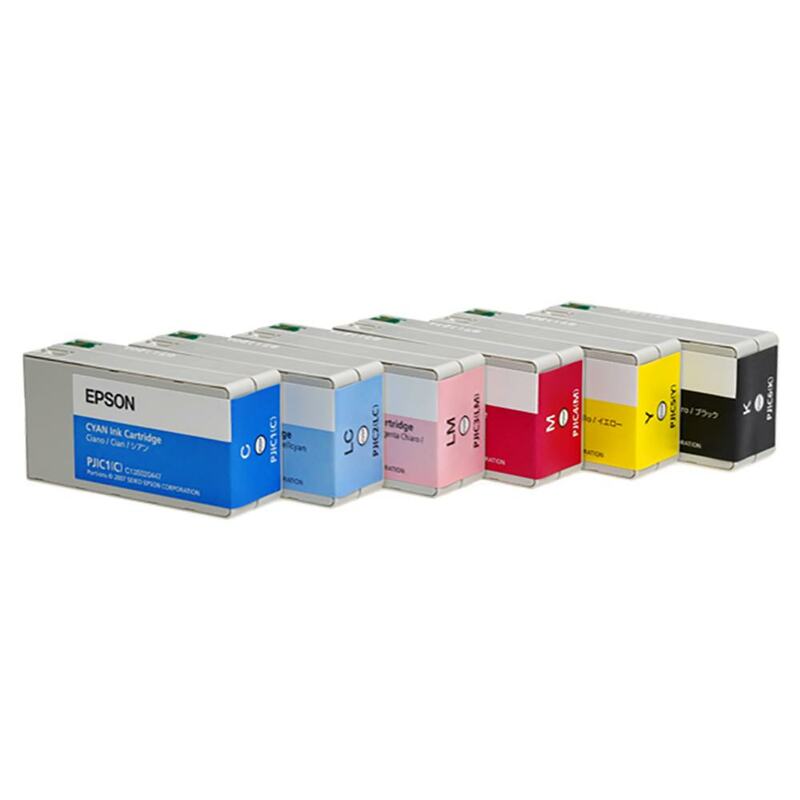 Save big on this set of 6 genuine Epson ink cartridges. Choose genuine Epson consumable for the best possible quality.